When I first arrived in London it was my first time on a plane and I was bricking myself. I knew flying was supposed to be the safest form of travel (apart from all those planes crashes that seem to be happening all the time) and the odds on the plane going down where astronomical, but still I wasn’t happy. I just couldn’t get my head around the fact that I was safe flying at over seventeen thousand feet about terra firma, in a tin can or what-ever- planes were made from back then and I didn’t even have a parachute. 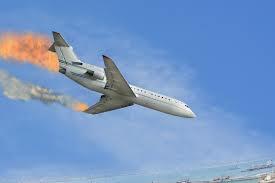 And how did planes fly anyway, I mean what kept them from just falling out of the sky? If the plane did go t down for any reason (and I considered many) there was no chance of survival what so ever and my life would be over. However if I was on a ship and it sank, at least I would have a chance of survival and finding my way into a lifeboat. But I wasn’t on a ship, I was one a plane and I was driving myself mad with worry and closed my eyes and pretended to be in a better place. 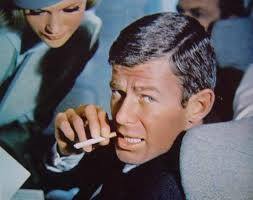 The only good thing I could think about flying was that back then smoking was still permitted on planes and there was always a section at the back for die hard smokers like me – who couldn’t do without their nicotine fix for the short ( long for me ) fifty minute flight. I still hate flying to this day , thirty years later. Hopping on a Tube at Heathrow I made my way to Walthamstow in E17, where I would be staying with my mate Jay McFall until further notice. You could smoke on tubes back then also, oh how things have changed! The flat was above a row of shops on Blackhorse Road and there was a pub facing it called the Lord Palmer, which became our regular hunt. The first night there I was surprised at the end of the evening when the DJ didn’t play the QUEEN (National Anthem). Back on the Shankill Road and throughout loyalist Belfast the very last act of the DJ or MC was to play the Queen and everyone was expected to stand up and saluted /show respect , regarding of how much beer you had consumed and how pissed you were. If you neglected to honour this protocol in the pubs and bars of the Shankill there would be server consequences and you didn’t make the same mistake twice. In my naivety I had thought this ritual was practiced throughout the UK and remnants of the empire and once again I was reminded of how isolated and tribal my community back in Belfast was. I had arrived in the Motherland and I was disappointed to realise I had more respect and pride in the union than those that surrounded me. 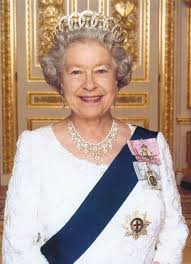 At least the bar had a picture of the queen above the optics and I saluted her every time I went to the bar…….